After about a decade, Nike's Total 90 series is being replaced. Poster boy Neymar and other Nike stars such as Rooney, Gomez, Lewandowski and Ibrahimovic will be wearing these. At 7.2 oz Nikeskin boot makes a new market for consumers. Focusing on a player's agility, we see conical studs and Nike free technology. 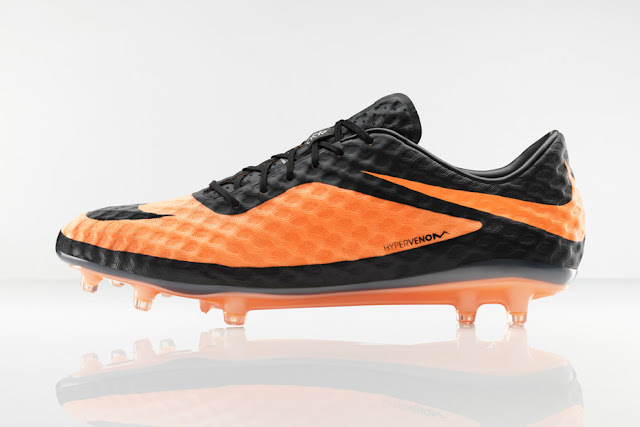 Originally I found these similar to a Mercurial Vapor, but the material and studs make it much more different. I don't know if I could see myself in something this flashy these days but the technology and marketing campaign have been impressive. If you still enjoy the Laser, I advise you grab a pair now. If not, these will be in local retailers soon.